BCM A2X Flash Hider 1/2x28 tpi. Pre Drilled for pin and weld applications. The A2X™ is an extended version of the A2 flash hider found on the M16 and M4 series of rifles. 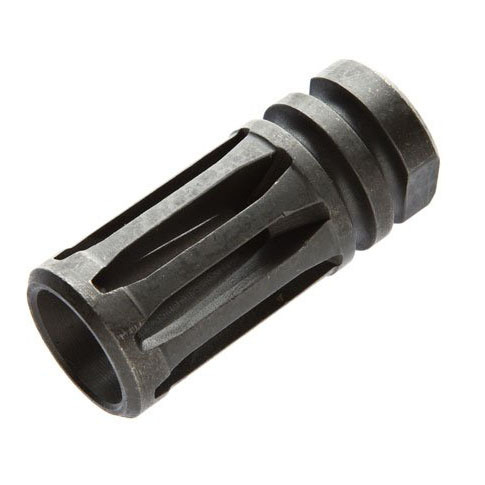 Threaded ½”x 28 for your 5.56mm carbine. Predrilled hole at the base for permanent installation. When mounted per BATF specifications for a permanent installation it will bring your 14.5” M4 barrel to a non-NFA length of over 16.1”. Installation should be done by a qualified gunsmith familiar with BATF regulations. The A2X™ is predrilled and comes with a dowel pin and crush washer for installation.